With its low operating temperature wet system underfloor heating delivers a comforting and even heat across your whole floor surface, heating your home from the floor up. With its low operating temperature wet system underfloor heating delivers a comforting and even heat across your whole floor surface, heating your home from the floor up. 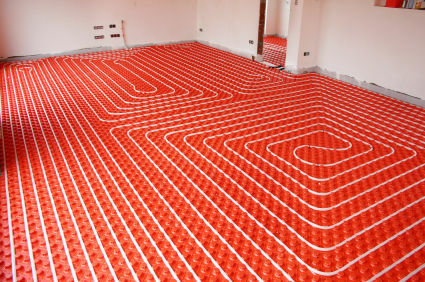 A benefit of underfloor heating is that as it is installed beneath the floor surface there is no need for radiators and as they offer a rapid and uniform distribution of heat it can help to optimise energy costs. Please feel free to contact us with any questions you may have regarding underfloor heating and we will be more than happy to help.